A new generation of summer passenger tyres, a wide range of sizes for 14- to 20-inch wheels. We are presenting a new generation of high-speed summer passenger tyres MP 47 Hectorra 3 designed specifically for large-size (E-segment) and luxury (F-segment) passenger cars. A combination of state-of-the-art technologies and modern asymmetric non-directional tread pattern provides for excellent handling and safe braking on dry and wet road surfaces. 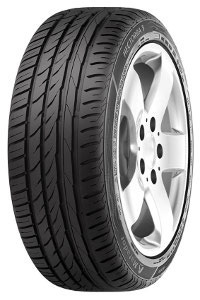 The tyre also features improved mileage performance and driving comfort. Designed for 14- to 20-inch wheels, MP47 Hectorra 3 will be available in a wide range of 50 sizes, in the speed categories “H” up to 210 km/h, “V” up to 240 km/h and “Y” up to 300 km/h, and in widths ranging from 185 mm up to 265 mm. The MP47 Hectorra 3 tyre is fitted with the “Summer TWI” (Summer Tread Wear Indicator) of 3 mm in height, located in the tread groove on several spots along the tyre’s circumference. 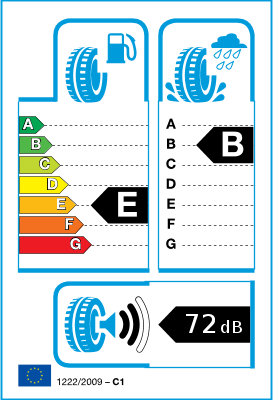 When the summer tyre reaches the 3-mm limit, the indicator indicates the need to replace the existing tyre for a new summer tyre in order to preserve driving safety. For middle-class and luxury vehicles and SUVs. Matador brand with long tradition, wide portfolio and reliable performance. High level of driving safety in the wet. Fits perfectly for example to Skoda Octavia, VW Passat and VW Tiguan. Better water draining due to enhanced water volume capacity in the grooves. Reduced risk of aquaplaning and thus increased driving safety on wet roads. Improved transmission of traction and braking forces onto the road. Short braking distances on dry roads. Optimised tread pattern in terms of material distribution and stiffness variation between pattern elements. Even pressure distribution in the contact patch. Even wear shape which results in an enhanced mileage performance. Noise generated by pattern elements in the center of the contact patch is reduced. Increased driving comfort as well as reduced environmental pollution due to reduced noise generation from the tyre. Early recognition of when the tyre replacement is recommended for a sufficient wet performance. MP47 Hectorra 3 carries a modern design element on its sidewall – a car symbol that allows marking the tyre’s position on the vehicle. This feature will be appreciated by drivers and car service staff especially while performing seasonal change of tyres.